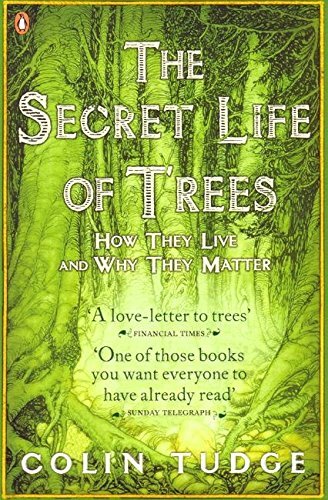 Colin Tudge's The Secret Life of Trees: How they Live and Why they Matter explores the hidden role of trees in our everyday lives - and how our future survival depends on them. What is a tree? As this celebration of the trees shows, they are our countryside; our ancestors descended from them; they gave us air to breathe. Yet while the stories of trees are as plentiful as leaves in a forest, they are rarely told., Here, Colin Tudge travels from his own back garden round the world to explore the beauty, variety and ingenuity of trees everywhere: from how they live so long to how they talk to each other and why they came to exist in the first place. Lyrical and evocative, this book will make everyone fall in love with the trees around them. 'A love-letter to trees' Financial Times 'One of those books you want everyone to have already read' Sunday Telegraph 'Wonderful, invaluable and timely., Tudge is as illuminating a guide as one could wish for' Daily Mail 'Everyone interested in the natural world will enjoy The Secret Life of Trees. 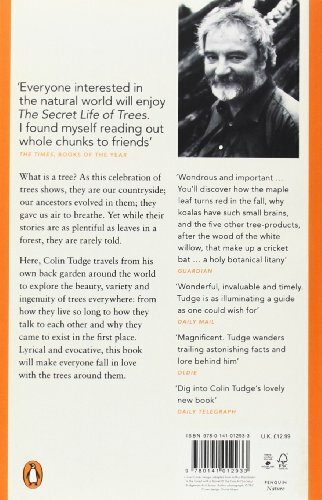 I found myself reading out whole chunks to friends' The Times Books of the Year Colin Tudge started his first tree nursery in his garden aged 11, marking his life-long interest in trees. Always interested in plants and animals, he studied zoology at Cambridge and then began writing about science, first as features editor at the New Scientist and then as a documentary maker for the BBC., Now a full-time writer, he is a Fellow of the Linnean Society of London and visiting Research Fellow at the Centre of Philosophy at the London School of Economics. His books include The Variety of Life and So Shall We Reap.